Good architectural starting point. 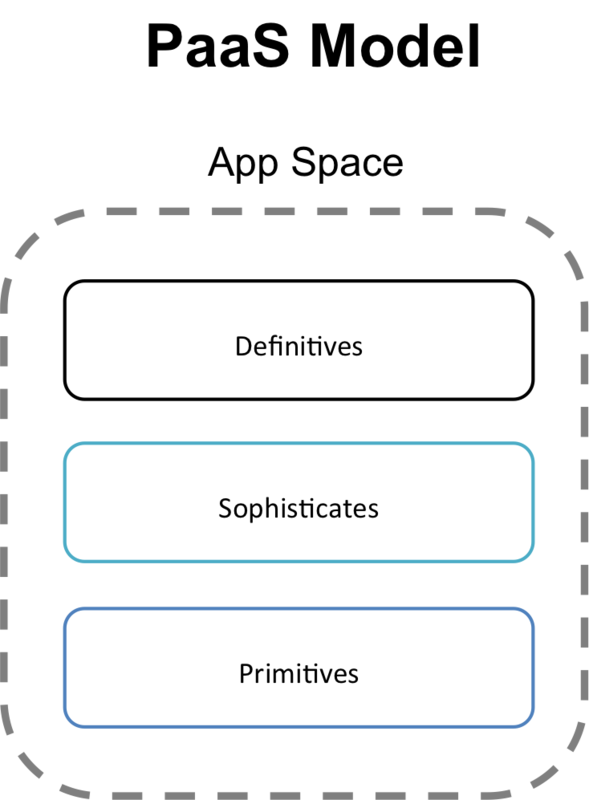 A section describing how the model is different from a traditional application server and language container (i.e. JVM, CLR) would be helpful. What happens when an application spans multiple ‘control spaces’? Where is lifecycle management and state handled? If the ‘orchestration layer lives outside the Control space’, where does the layer live? If ‘App Space’ resides within a ‘Control Space’, can one build an application spanning multiple control spaces? A few fractal diagrams may help. How does the model modify/augment the application developer experience? There will be a follow on Post describing the Element Types (which should hit tomorrow), this should explain why/where JVM and CLR would fit. Then it is not an application running in a PaaS any longer? A Control Space isn’t bound by Geographies, so I don’t see why an app would span multiple control spaces unless you are talking about a Service (say an external cloud dependency). This is would be a choice made by the PaaS Control Space implementor and would fall into the Element Types I mentioned earlier. 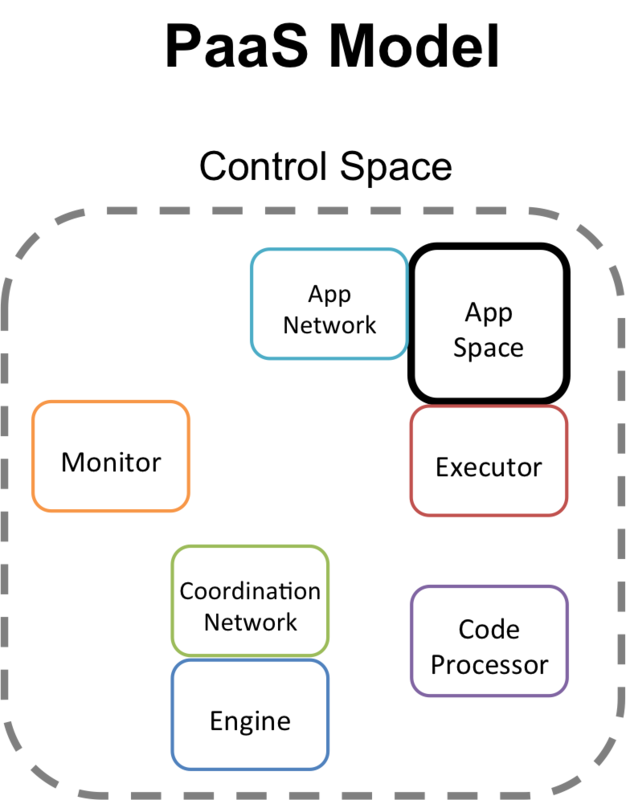 Lifecycle management could be an added capability to a Control Space or could be handled in the App Space depending on the implementation. State is another option, as some PaaS solutions are mindful of state and others expect complete idempotence, this depends on the Element Types that were chosen to compose the PaaS. It is an optional extension to the PaaS that would operate by Element Types being used to interface with some type of Infrastructure. 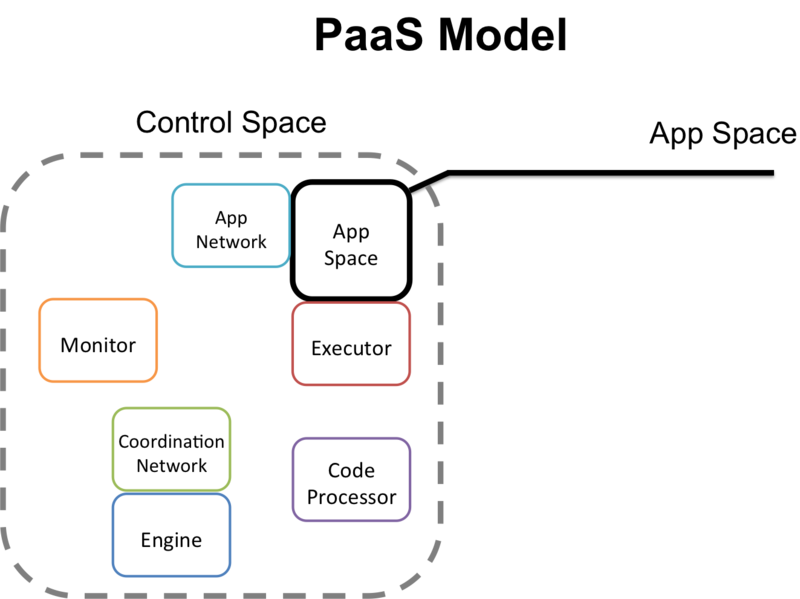 The Engine could trigger events to an Orchestration interface or agent to drive events, this all depends on the implementation. The PaaS model is generic, when I apply it to different PaaS solutions, then I will be specific about where extensions have been done/could be done. I’m hoping the Table I have in the coming space will help provide clarity. This comes from how the model is implemented by specific PaaS providers. This determines what the dev. experience is, and is why the follow on Element Type post will be important. Depending on your Element Type choices and what you decide to expose determines what the experience will be.